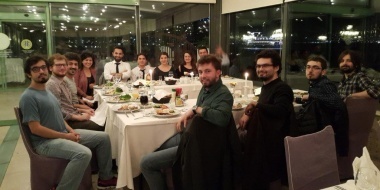 Our group, comprised of Mustafa Altun and his scholars & students, is in the Department of Electronics and Communication Engineering at Istanbul Technical University. In terms of research, we aim to develop electronic design automation (EDA) and circuit design techniques for emerging nanotechnologies and new computing paradigms. We also have a special interest in electronics reliability in both circuit and system levels. In terms of teaching, we offer courses on digital/analog circuit design as well as on computational nanoelectronics. Apr. 2019 We hire! For current openings, click here and here. Apr. 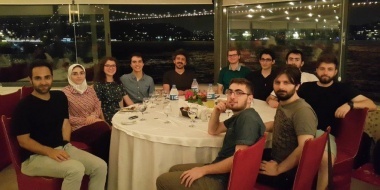 2019 Our project on the implementation of 3D nano stuctures and switching lattices received an international research grant jointly from TUBITAK and NSF. Our partner is Prof. Csaba Moritz from University of Massachusetts, USA. Apr. 2019 We will present our work "Implementation of CMOS Logic Circuits with Perfect Fault Detection Using Preservative Reversible Gates" in a leading conference on online testing IOLTS 2019. Nov. 2018 We will present our work "Realization of Four-Terminal Switching Lattices: Technology Development and Circuit Modeling" in a premier conference on electronic design automation DATE 2019. Nov. 2018 We will present our work "A Satisfiability-Based Approximate Algorithm for Logic Synthesis Using Switching Lattices" in a premier conference on electronic design automation DATE 2019. June 2018 We will present our work "Integrated Synthesis Methodology for Crossbar Arrays" in a leading conference on nanocircuits/nanoarchitectures IEEE/ACM-NANOARCH 2018. May 2018 We will present two papers on approximate neural networks and modeling of organic transistors in SMACD 2018. Jan. 2018 We showcase our EU-H2020 project in a YouTube video. Nov. 2017 We will present our work "Logic Synthesis and Defect Tolerance for Memristive Crossbar Arrays" in a premier conference on electronic design automation DATE 2018. Oct. 2017 We will give an invited talk "Future and Emerging Computing Paradigms in Electronics" in IEEE-ICECS 2017. Oct. 2017 We will present two papers on fault tolerance of nano-crossbar arrays and stochastic number generators in IEEE-ICECS 2017. Sept. 2017 We will give an invited talk "Nanoelectronics and Emerging Computing Techniques" in Science Unites All (SCI-ALL) 2017 - European Researchers' Night Event. Aug. 2017 Our two papers in the area of fault tolerance for nano-crossbar arrays are accepted in journals CSUR and TETC having impact factors of 6,8 and 3,8. This endorses our leading expertise in this area. July 2017 Our project on approximate computing and applications in image processing with learning received a grant from the TUBITAK Scientific and Technological Research Projects Funding Program (1001). June 2017 We place first in graduation project competition - 2017 launched by the Chamber of Electrical Engineers of Turkey (EMO); our project is titled "Implementation of a Fault-Aware 8-Bit Reversible Microprocessor". May 2017 We will present our work "A Power Efficient System Design Methodology Employing Approximate Arithmetic Units" in IEEE-ISVLSI 2017. Apr. 2017 We will present our work "Spintronic Memristor based Offset Cancellation Technique for Sense Amplifiers" in SMACD 2017. Dec. 2016 Our project on stochastic computing and applications in large-area electronics received a grant from the TUBITAK Scientific and Technological Research Projects Funding Program (1001). Nov. 2016 We will present our work "Computing with Nano-Crossbar Arrays: Logic Synthesis and Fault Tolerance" in a premier conference on electronic design automation DATE 2017. Aug. 2016 Our three papers are recently accepted in journals TCAD, RESS, and MVLSC. All these papers are solely made in our group from Masters studies. Good job! May 2016 We will give an invited talk "EU H2020 Success Story" in H2020 MSCA 2016 Istanbul Training & Info Event. Apr. 2016 We will present our work "Accurate Synthesis of Arithmetic Operations with Stochastic Logic" in IEEE-ISVLSI 2016. Apr. 2016 We will present our work "Power-Delay-Area Performance Modeling and Analysis for Nano-Crossbar Arrays" in IEEE-ISVLSI 2016. Apr. 2016 We will give an invited talk "Circuit Design and Optimization of Nano-Crossbar Arrays" in NanoTR-12. 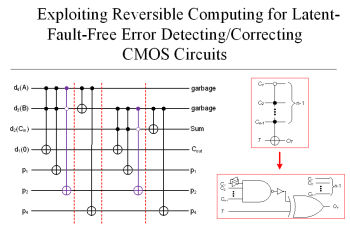 Feb. 2016 We will give a plenary talk "Implementation of a Switching Nano-Crossbar Computer" in ACS 2016. Jan. 2016 We will present our EU H2020 project NANOxCOMP in a premier conference on electronic design automation DATE 2016. Dec. 2015 Our project on fault-aware reversible microprocessor implementation received a grant from the TUBITAK Short Term R&D Funding Program (1002). Sept. 2015 Our project on nano-crossbar computer implementation received a 724.500EURO grant from the EU H2020-MSCA Research and Innovation Staff Exchange Program (RISE). This project has a consortium of eight international partners and is coordinated by our group; we are one of the few H2020 project coordinators from Turkey. Aug. 2015 Our project on sensor and communication systems for phacoemulsification cataract eye surgery is invited to the final exhibition of the TUBITAK Industry Oriented Senior Project Competition (2241/B) as one of the top 40 out of more than 400 projects. The project is cooperated with Novartis-Alcon. Aug. 2015 We will present two papers on electronics reliability in ESREL 2015. May 2015 We will present our work "Defect Tolerance in Diode, FET, and Four-Terminal Switch Based Nano-Crossbar Arrays" in a globally leading conference on nanocircuits/nanoarchitectures IEEE/ACM-NANOARCH 2015. Feb. 2015 We will present our work "Synthesis and Optimization of Switching Nanoarrays" in IEEE-DDECS 2015. Nov. 2014 We will present three papers on circuit design techniques for emerging technologies in a premier national conference ELECO 2014. 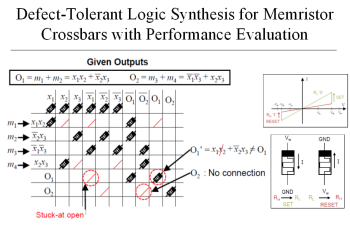 Oct. 2014 We will present our work "An Efficient Algorithm to Synthesize Quantum Circuits and Optimization" in IEEE-ICECS 2014. Sept. 2014 We will present our work "Warranty Forecasting of Electronic Boards using Short-term Field Data" in a globally leading reliability conference RAMS 2015. June 2014 We will present our work "Reliability Prediction of Electronic Boards by Analyzing Field Return Data" in ESREL 2014. 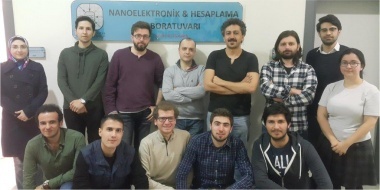 Feb. 2014 Our project on circuit design and reliability for switching nano arrays received a grant from the TUBITAK Career Program (3501). Feb. 2014 Our project on quantum circuit design is supported by the ITU Research Project Support Program (BAP) and the TUBITAK MSc Scholarship Program in Priority Areas (2210/C). Oct. 2013 Our project on reliability of appliance electronic cards received a grant from the TUBITAK University-Industry Collaboration Grant Program (1505). The project is cooperated with Arçelik A.Ş..
Sept. 2013 We will present our work "Computation with Regular Arrays of Nano Switches" in ICCMNM-FIAS 2013. May 2013 We offer a new graduate course: Computational Nanoelectronics. 1.300.000 TL/$450.000 was received to be spent for our group. $300.000 came from an EU H2020 project and $150.000 came from three different TUBITAK projects. We are the principal investigator (PI) of all these 4 projects. 20 peer-reviewed papers were published/accepted. 13 of them are solely made in ECC -- all authors are from our group. 4 of them are coauthored by our collaborators from industry and 5 of them are coauthored by our collaborators from academia. 5 Masters students graduated from our group and 5 Doctoral students joined us. 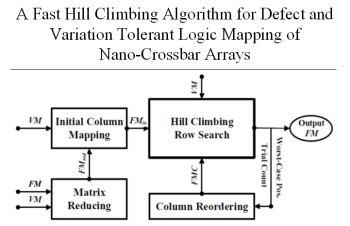 For current open positions in the area of artificial neural network implementations click here. For current open positions in the area of nano-crossbar/switching lattice implementations click here. We are wide open to national/international collaborations with academia and industry. We are dedicated to establish new partnerships within EU Cost actions and joint international calls. We are also interested in industry based and market driven partnerships through EUREKA. 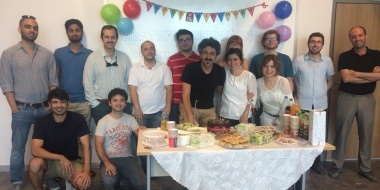 If interested in our group, please contact Mustafa at altunmus@itu.edu.tr or stop by EEF 3005 (coffee guaranteed). 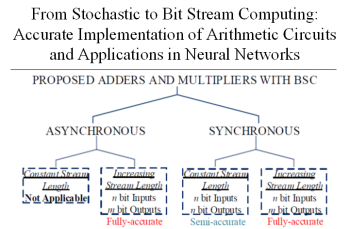 This page was last modified on 18 April 2019, at 12:34. This page has been accessed 182,342 times.